We're Fired Up & Ready To Roll! 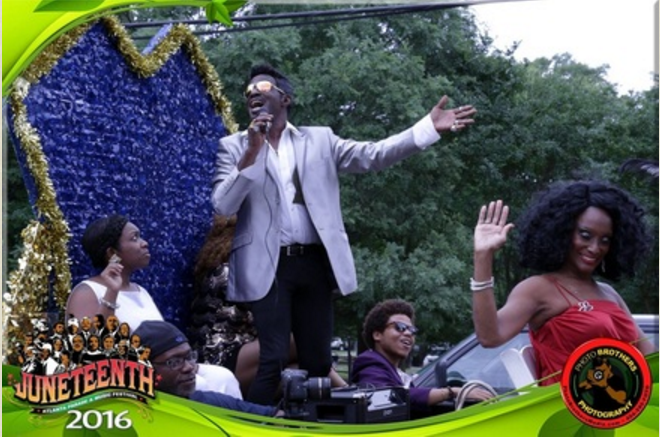 Juneteenth Atlanta offers the Largest and Best Father's Day Weekend Celebration in the Nation! Celebrating Fathers Throughout History, Fathers Remembered, and deeming all men over the age of 17 as community role models! 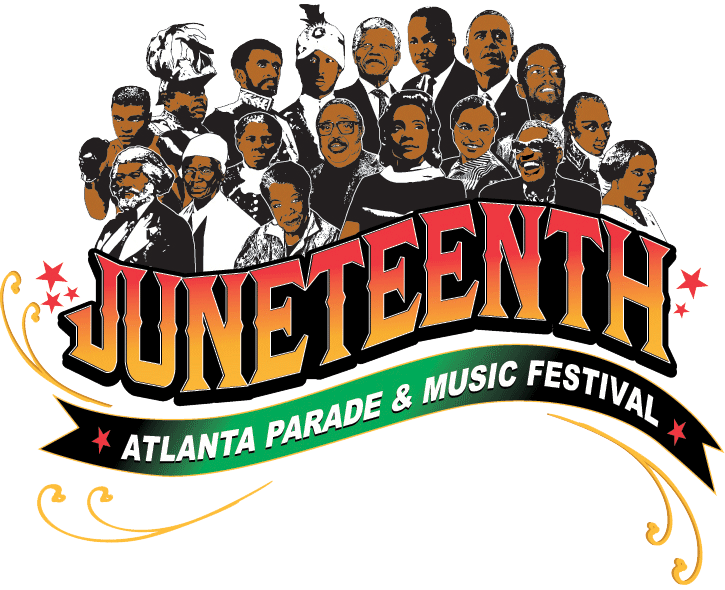 Juneteenth Atlanta Parade & Music Festival is 100% free to the public. Support Our Vendors By Buying Them Out! Come prepared to shop, eat, drink and be merry! Our royal vendors will be offering everything from bath and body to arts and crafts. If you want to support black owned businesses here's your opportunity. 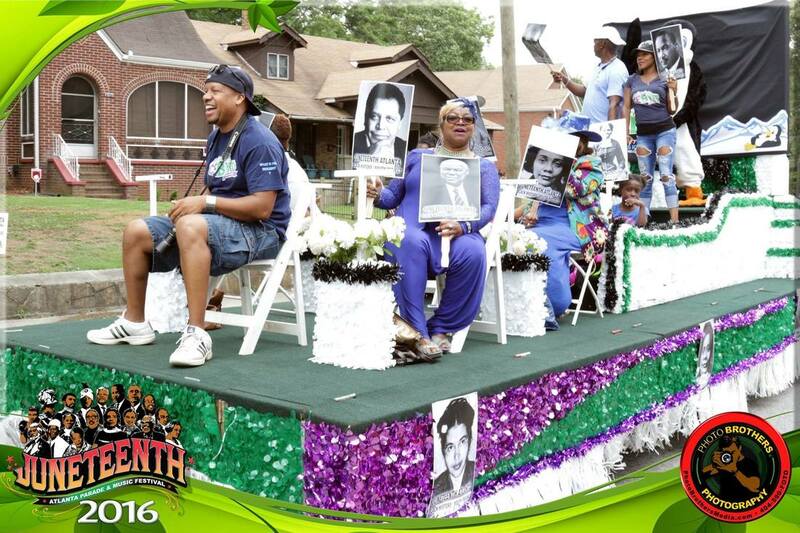 Juneteenth Atlanta: Where The Youth Lead The Way! The Time Is Always Now! Building Bridges For Future Generations! ​Let's do it for the CHILDREN! What's new with Juneteenth Atlanta? 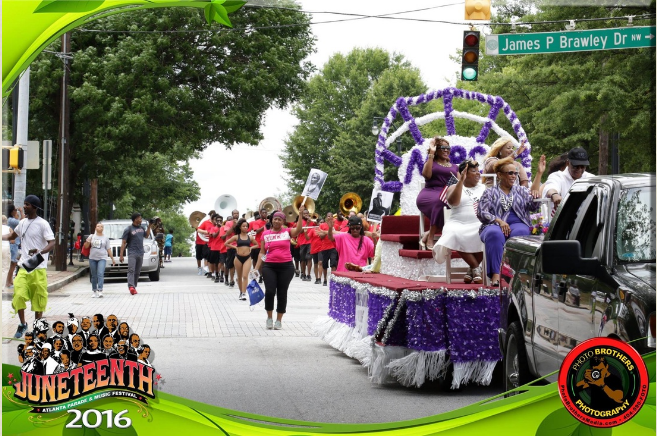 Join us for the 7th annual Juneteenth Atlanta Parade & Music Festival for a weekend of family, friends, and fun. Bring your camera, chairs, blankets, pillows and most of all your love. We will have everything else set up and waiting for your arrival. *Food, beverages and coolers are not allowed. Come prepared to support our community vendors! The End of Slavery as it was known at that time! Witness your first and only Quadricentennial! ​We are acknowledging 400 years of surviving the worst conditions ever inflicted on a people in history. The Transatlantic Slave Trade. We will parade together with appreciation for ancestors, survival, self, and future generations. Meet our official Juneteenth Atlanta Drum Generals! Be on the lookout for our official Juneteenth Atlanta Drum Team! When you see them during the event support their fundraising efforts. They are drumming for dollars to build their business. Their goal is to establish their very own drum and dance business and we have their back. Let's make their dream a reality! ​June 14-16, 2019 or donate here now. Worlds Largest Father's Day Celebration: 400 YEARS! Celebrate A Royal Father's Day Weekend with Juneteenth Atlanta. ​The biggest fathers day celebration anywhere! We are extending a special call to all of our M.I.A fathers! Special libation for all fathers remembered! Why fathers are special, tribute! Deeming all adult males community fathers. All you need to do is bring dad! RSVP here for 2019! We'll keep you updated. 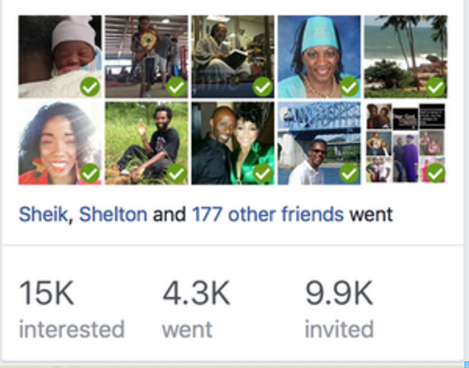 Invite your coworkers, family and friends. Join spirited & loving people who care about our communities.